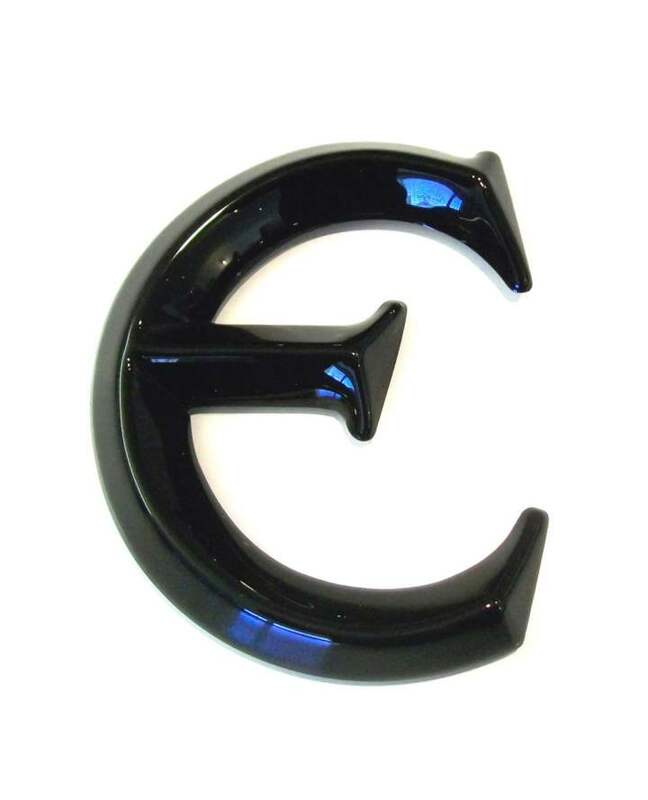 A 3D letter ‘E’ made from moulded black acrylic. 8″ (200mm) high. The Font used was Liberty Bevel Face. Part of a larger order sent to the Isle of Man. 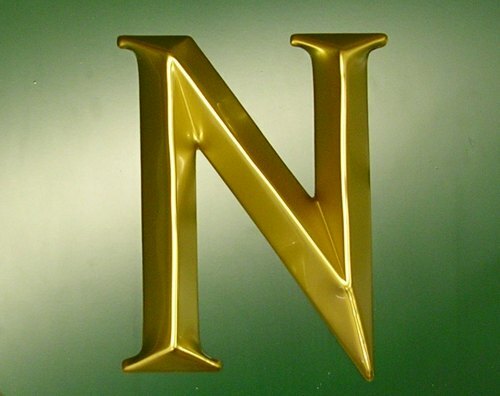 Example of the letter N and A, Liberty Bevel Face, gold moulded letters. Liberty Bevel Face is a custom made non standard font. 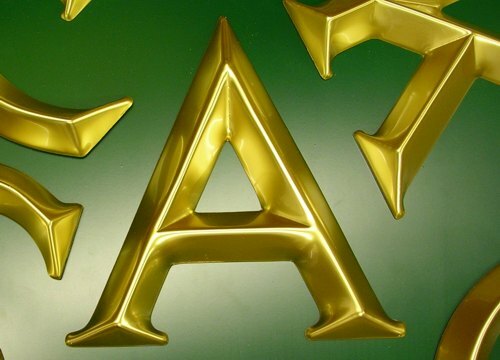 We make this font to order would need to produce master patterns first before manufacturing, so the cost of the product is higher and the process time is longer. Have a look at Friz Quadrata Bevel Face as an alternative in our standard font range.